This little Plate Basket measures 2 1/4" in diameter, by 1/4" deep. (The lip curves up for the Depth). This Basket is constructed from Basket Reed & Raffia, and is done in a Skip Stitch. The patterns on this Basket are "Ancient Arrowheads" , and "Pine Tree Pattern" around the lip. The number of this lovely little Double Mini Plate Basket is #D 768, and it retails at $110.00. If interested please contact me at: darleneryer23@yahoo.com . Thank You. #D 775, and it retails at $110.00. If interested please contact me at darleneryer23@yahoo.com . Thank You. This little Bowl Basket measures 1 3/4" in diameter, by 1 3/8" deep. This Basket is constructed from Basket Reed & Raffia, and is done in a Figure Eight Stitch. 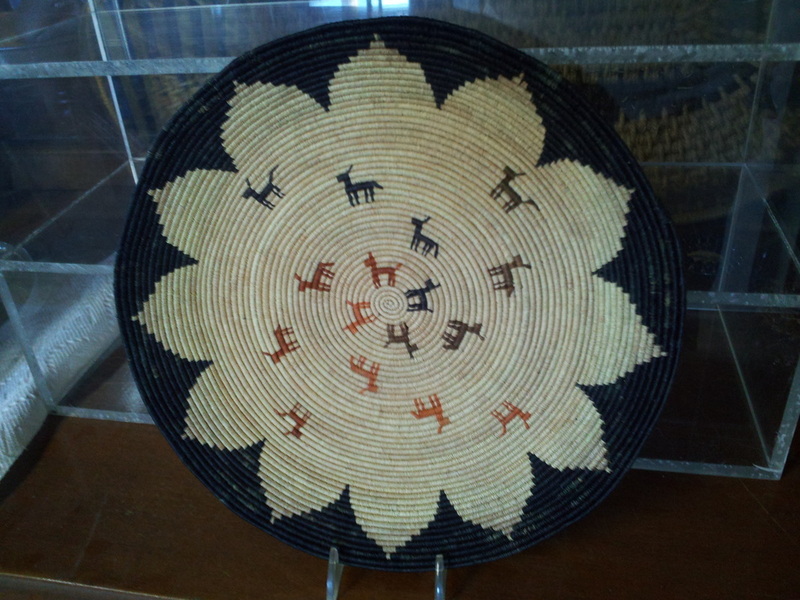 The pattern on this Basket is "Ancient Arrowheads". The number of this lovely little Double Mini Plate Basket is #D 1032, and it retails at $115.00. If interested please contact me at darleneryer23@yahoo.com . Thank You. 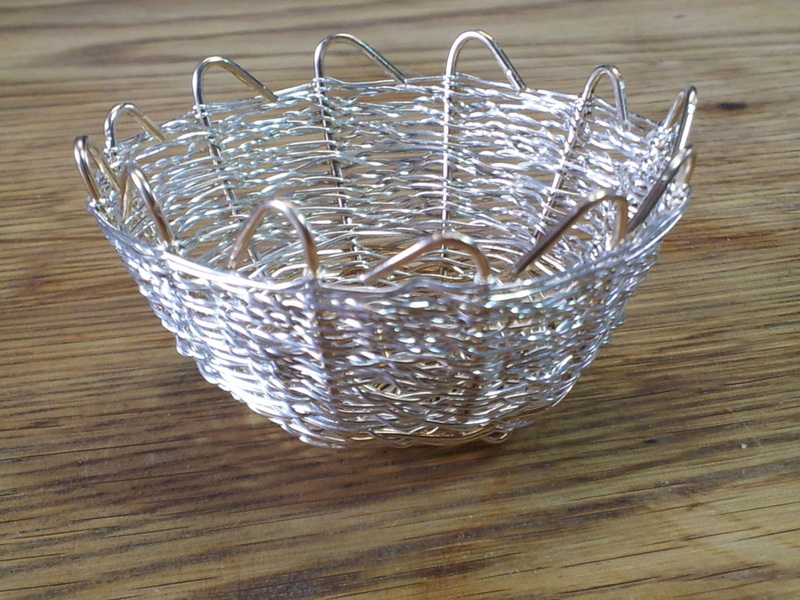 This little Bowl Basket measures 1" in diameter, by 1/2" deep. This Basket is constructed from Basket Reed & Raffia, and is done in a Figure Eight Stitch. There is no pattern on this little beauty, but it is lovely. The number of this Mini Bowl Basket is #D 1008, and it retails at $90.00. If interested please contact me at darleneryer23@yahoo.com . Thank You.